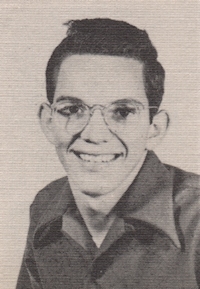 Obituary – Cress, Bobby Joe « Perry High School Alumni Association, Inc.
﻿Football 46-48, Basketball 46-48, Basketball Captain 47-48, Baseball 46-47, Annual Follies 47-48, Vice-President Student Council 47-48, Perryscope Editor 47-48. Bobby Joe Cress, best known as Bob or B.J., passed away December 9, 2007. He was born in Okmulgee, OK on February 23, 1930 to Buck and Wilma Cress, who preceded him in death. He attended high school in Perry, OK and Oklahoma State University. He worked many years in the oilfield industry, and was employed by Demco, an oilfield supply company, when he took a transfer and relocated his family in Houston. 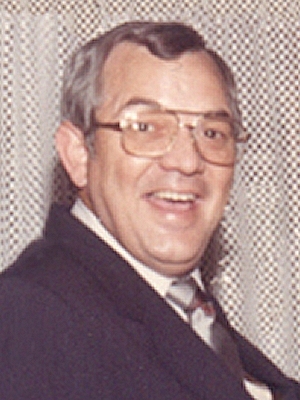 He established his own company, Crestex, Inc., in 1984 and sold it in 1996. Bob’s many interests included golf, football and bowling; he was a past member of Houston Bowling Association. He liked to travel and enjoyed many cruises throughout the years. Bob was dedicated to his family and friends, and will be greatly missed by everyone who knew him. Visitation and funeral service was held on Wednesday, December 12, 2007 at Klein Funeral Home Champion Forest. Interment followed in Earthman Resthaven Cemetery in Houston, TX. The family requests memorial donations be made to the David Booth Evangelistic Association, P.O. Box 2337, Mission, TX 78573.